In this Tutorial i will show you how to install qbittorrent 3.3.9 On Ubuntu 16.10, 16.04 LTS & 14.04 and LinuxMint. 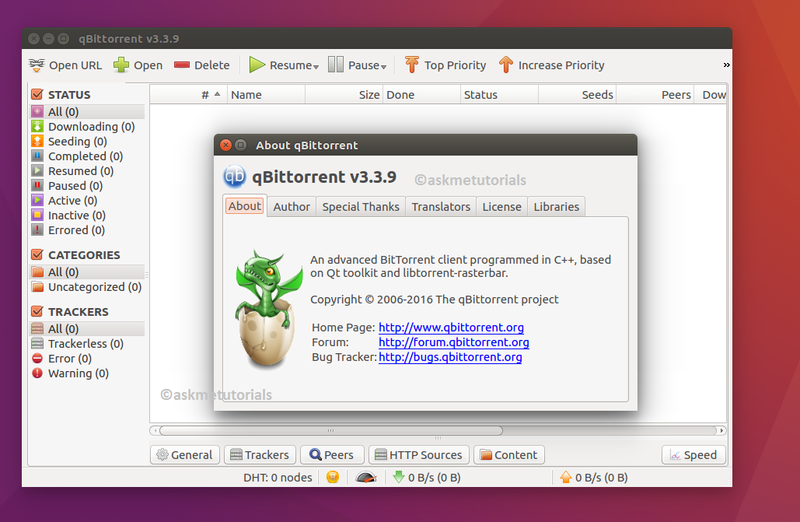 qbittorrent is an open source bittorent client designed as an alterntive for the popular client Torrent written in Qt5 .It is using the libtorrent-raster library, which means it supports all operating systems Windows,Linux,MacOSX and FreeBSD. New translations are added for Icelandic, Latvian, Malay, Occitan, Uzbek. Fix slider for per torrent speed limits when no global speed limit has been set. Fix GUI for proxy settings. Correctly migrate settings/rss/usage stats in macOS.